Hashtags are everywhere on social media. Back in 2007 the formerly known 'pound' symbol was reinvented on Twitter. However, it wasn't until 2009 that Twitter fully embraced the hashtag takeover and made the hashtag a search function. While Twitter was the first hashtag platform, now, ten years later, hashtags are everywhere connecting people on every social media platform. So why should you be using hashtags? Because it connects you to more people, posts, tweets, and ideas. And when people search for certain hashtags (#seattleeats #barbershops #tacotuesday) to get new ideas and find things they want to experience. Hashtagging on Twitter helps your tweets and presence tremendously. Tweets with a single hashtag have shown to get twice the engagement as tweets without. Thus, hashtags will allow you and your business reach new audiences, meaning more customers and build brand awareness. Hashtags also connect you to other tweets so your tweet can get more retweets, favorites, and comments! When using hashtags on Twitter there are three things to remember. Single words and commonly used phrases are more likely to be searched for or used by other people. If you are having a sale think about using the hashtags #discount #deal #sale #offers #shopping #fashion #discounts #shop! With Twitter's character limit you want to make sure and choose the right ones. Additionally, too many hashtags blend together and are overwhelming for a reader. The recommended number is between one and three hashtags per tweet. Thus, tweets with too many hashtags are less likely to be read and people are less likely to know which hashtag to click on. Your tweets will get way more attention if you use hashtags during holiday seasons! For example around St. Patricks day you could use #stpaticksday #celebrating #luck #shamrock #irishforaday #clover #kissmeimirish! While Twitter was the originator of the hashtag, Instagram is now the hashtag hub. In 2018, posts with just one hashtag got 12.6% more engagement than posts without. Like on Twitter, using hashtags on Instagram allows more people to find your profile organically and can lead to more followers, engagements, and comments! For the most part you should use hashtags on Instagram in the same way that you use them on Twitter. For instance during Valentines Day trending hashtags were #valentine #valentinesday #bemine #bemyvalentine #sweetheart #willyoubemyvalentine! So make sure to stay up to date with what is going on in the world around you. If you want to reach a certain audience, focus your hashtags around that. For instance, if you are posting about vacation destinations use the hashtags #travel #travelgram #familyabroad #familyvacation #solotraveler #travelerofone. In fact, you can load up with as many hashtags as you think are relevant to your post or business. 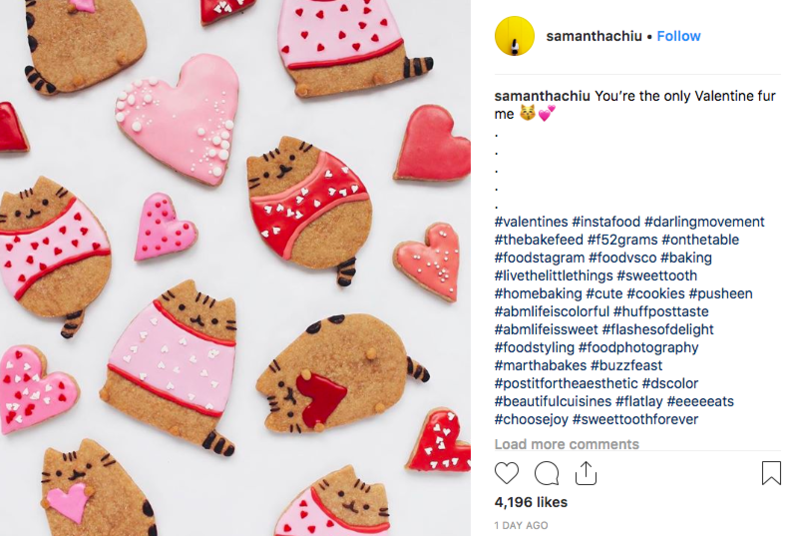 Many people actually put their descriptive caption and their hashtags in different paragraphs of their caption so that they can convey a message while also gaining followers and views! Now it is time to get sharing and use a #hashtag on the next tweet, post, or comment you show the world! And if you need help coming up with hashtags, you can use the Hashtags app. Or feel free to reach out to feedback@ripl.com and we would love to provide recommendations for your business!